Growing up with an Artistic Family from Italy and having had the benefit of traveling the world at an early age, Della Casa developed a true appreciation for beauty. Regardless if it were landscapes, people, or animals Mario’s journey to his creations had a very interesting beginning. In fact, so vital was the demand for his original Jeannie Bottles, that Della Casa is the only artist ever to be awarded the license by Sony Entertainment to officially create them for the world! While Mario A.C. Della Casa successfully continues to bring back the true innocents of yesteryear into our lives, he does so with class and elegance. Della Casa approaches each creative work of art with the intention of first and foremost; creating a work that will evoke an emotional response to be enjoyed for many years to come. He truly created a new movement in his art by successfully blending the Classics with Amazing Elegance. “Truly bringing into existence something to forever be admired”. Della Casa shares his unique expertise of Hollywood art with a truly exclusive clientele that includes Hollywood superstars, Major players in the motion picture and television industries, chief executive officers of U.S. and international corporations, authors, judges, legislators. His work has been exhibited in the United States, throughout the United Kingdom and Australia, as well as having been featured on GOOD MORNING AMERICA, ENTERTAINMENT TONIGHT, A&E BIOGRAPHY, and on the TV Land Television Network. He has also created unique art pieces for numerous national commercials, magazines and TV shows. Perhaps not unlike the natural progression from CHEERS to FRASIER or STAR TREK to VOYAGER, the worship of Della Casa bottles gave birth to the spin-off: A line of one-of-a-kind Paintings featuring Jeannie and other TVLand temptresses — many not of this mortal world — like Lily Munster, Samantha Stevens, and yes, even Seven of Nine! “I try to infuse each of these characters with a cocktail of gentle elegance and searing sexuality, if only to be true to how I saw them in my own dreams,” says the artist. Mr. Della Casa’s art is now coveted by the very community he endeavors to memorialize. His list of famous clients is impressive, including Anthony Michael Hall, Nicollette Sheridan, Christopher and Dana Reeve, Pamela Anderson, John Edward, Barbara Eden, Larry Hagman, Charlene Tilton, Linda Grey, Linda Blair, Kate Mulgrew, Penny Marshal and Cindy Williams are among those that own or have his work. Aaron Spelling, Laurence Fishburne and the Museum of Television’s James Comisar and other Hollywood notables have even fallen under Mario’s artful spell. In many instances, the subjects of his art, wind up becoming his fans and his friends. Della Casa appreciates beauty in all of its forms, finding it easy to apply his craft to nearly any genre. Hollywood subjects grace the walls of the Della Casa home, and so do equally beautiful portraits of his family members. 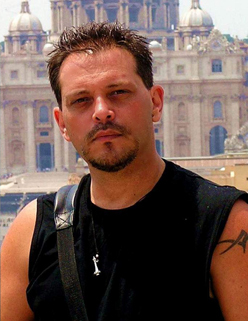 Mario is uniquely committed to assisting those who struggle with the present, having raised money for Project Angel Food, Make a Wish Foundation, and numerous Pet Saving Organizations. He has donated his art specifically for Christie’s, Sotheby’s and the Hollywood memorabilia department for Butterfields, so they may auction his artwork to raise funds for those in need. Della Casa will work his special magic in a client’s home, using their walls and ceilings as his blank canvas. He looks forward to expanding his local client base and becoming involved with some Arizona art galleries like exposed in Phoenix. With artist Mario A.C. Della Casa, your wish is his command. “I love what I do! As long as I can continue to create something that someone has always wanted and truly make their wish come then my own wishes are becoming beautifully fulfilled ” said Della Casa.